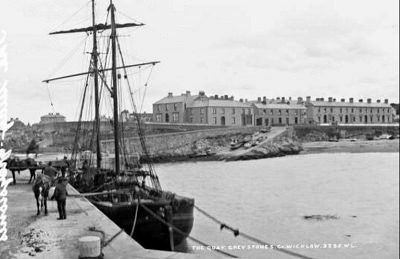 It might be a long-ish read, but worth it, as the rise and fall and rise again of Greystones harbour through the 19th and 20th century is painstakingly revisited, blow hole by blow hole, mistake by really dumb mistake. Assembled by local historian Gary Acheson from old newspaper reports, as well as Derek Paine’s research in the fifth volume of his Pictorial History Of Greystones books, this is a story of official incompetence, missed deadlines, local voices being ignored, and neglect from pretty much all relevant levels of government. And it makes for a fascinating if sometimes painful read. 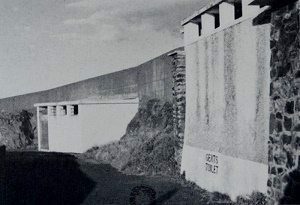 1846 A small pier and parapet was constructed that gave deep water access for shipping – between 7 and 17 feet of water depending on the state of the tide. However, this pier gave no shelter and could only be used in fair weather. Fishing boats were still launched from the beach and high surf often prevented fishermen getting out for days or even weeks at a time. 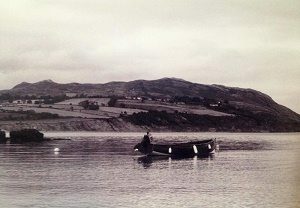 Locals later began to campaign for an enlarged harbour to allow more boats to fish from Greystones and for boats from Howth to Arklow to shelter and land catches. The railway meant good connections to markets in Dublin. 1884 The Board of Works decides on a plan involving a new east pier running out from the existing short pier and a light north groyne. Locals objection that this left too wide a harbour mouth open to the north-easterly gales and provided no shelter for shipping were dismissed. Funding would be a mix of local rates and loans on top of central government grants. 1885 Questions were repeatedly asked by Irish MPs at Westminster as to when the work would begin. 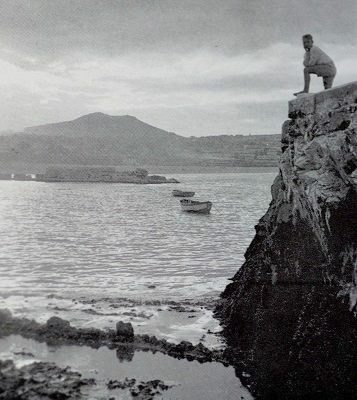 The proposed design of a pier made up of hollow box sections using concrete blocks with granite facing was thought locally to be unable to withstand winter storms. Several Greystones committees’ requests for ‘monolithic’ (i.e. solid) construction were turned down due to the extra cost of £4,000. 1885 June Office of Public Works call for tenders – a 200′ pier, wall and parapet, and boat slip. 1885 Contractors Taylor of Dublin win the £9,000 contract to build and complete the works in one year. After working for one year, he went bankrupt with not much to show for his efforts. 1886 Contractors Brown takes over and works for one year. Not much progress is made. The Board of Works dismisses Brown for breach of contract and take the job over themselves, working directly on the project. Their work takes another 2 years. In the meantime, the north groyne proves too narrow and the light has been toppled by storms and shingle, and the harbour starts to fill with materials from the North Beach. As locals had predicted the new pier prevented this silting from being scoured out by storms and tidal streams. 1889 Contractor Brown sues the Board of Works for breach of contract after being dismissed for taking too long to complete the work. He loses. 1890 The harbour area is now full of shingle. Again, there are requests for a north groyne and dredging to be carried out. 1891 Yet again, questions on the delays in beginning work on a new north wall were asked at Westminster. Finally, work got underway on a wider and more substantial north wall. It was constructed by using an aerial trackway built out on wooden pilings. A steam powered machine ran out on this structure laying precast concrete blocks to form the wall. 1893 The Board of Works considered the work complete and held a public auction to dispose of the remaining equipment and supplies. The new North Wall quickly started to subside, first at the beach end and then along its entire length. The pier structure also soon showed signs of cracking and settlement. The R.N.L.I lifeboat was removed from the Greystones station because of the difficulty in launching over the beach build-up. 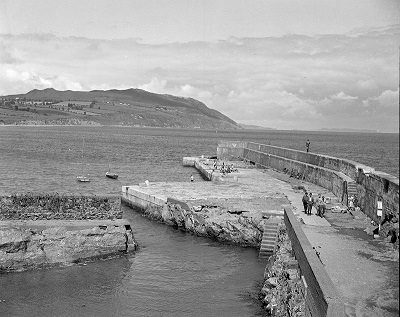 1897 Representations were made to the Board of Works about the ‘dangerous condition of Greystones Pier’. 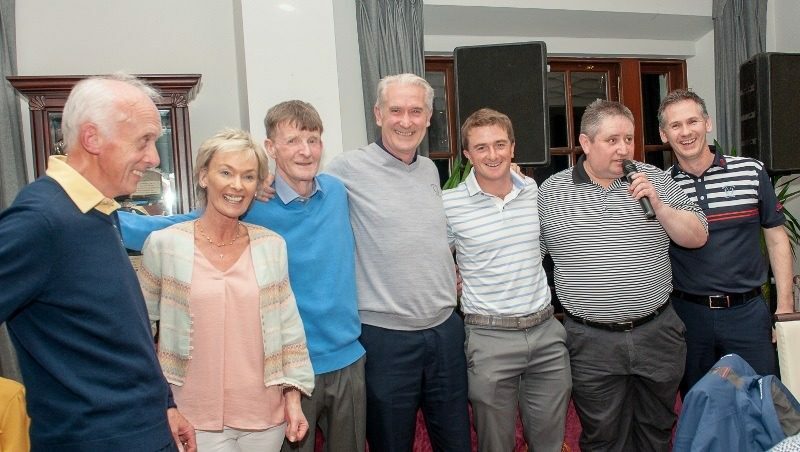 The response pointed out that the responsibility for the harbour had been transferred in 1896 to the Wicklow Grand Jury – the precursor to Wicklow County Council. 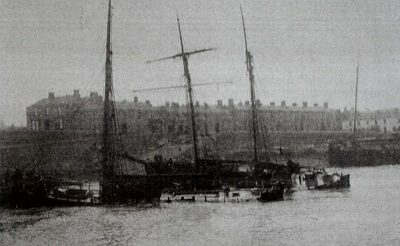 However, the Grand Jury claimed, on the advice of their surveyor, that the harbour was in a ‘dangerous condition’, and refused to take responsibility. Nothing further was done. 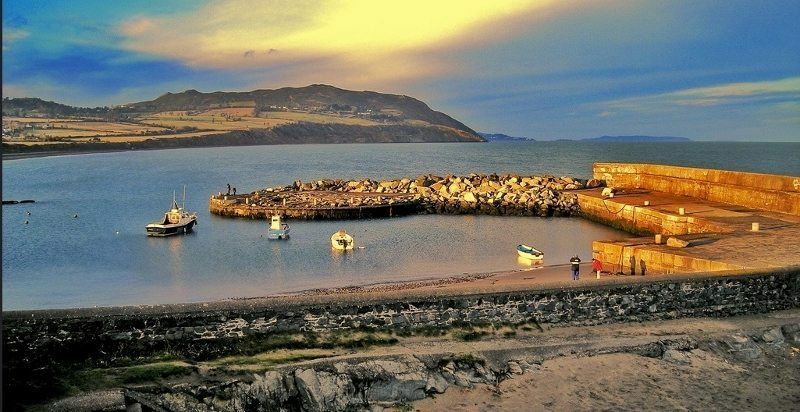 Greystones Harbour was an orphan of government. 1907 Over the previous few years, several local committees had tried to draw attention to the crumbling harbour. Ultimately, a Harbour Improvement Association was formed. 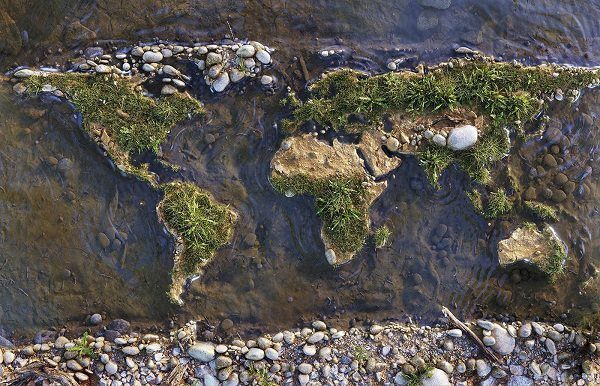 They had a survey and repair plans drawn up and submitted to government officials and MPs. They also sent photographs detailing the poor state of the structures [ see the samples from the Derek Paine collection, right]. Correspondence continued over the next several years. 1910 October A sudden and violent north-east gale trapped three coal-carrying ships in the harbour – Vellinhelli, a schooner owned by Arthur Evans; and two English ketches: Federation and Reciprocity. 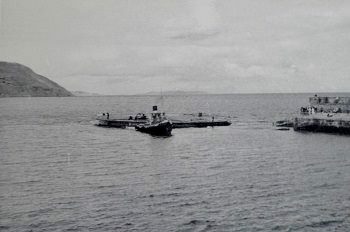 Federation ended up damaged on the beach; the other two sank in the harbour [top, left]. Crews were saved from the rigging by the Coast Guard using rocket apparatus and . This disaster caught the attention of the powers-that-be. With newspaper headlines like Greystones Death Trap being printed, the Chief Secretary for Ireland visited Greystones within weeks to meet a deputation of concerned locals. 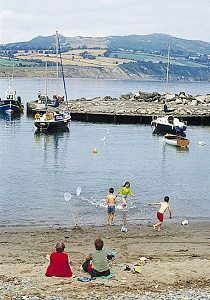 However, it was later determined that only the County Council could apply for funding to fix the problems – and the Council again refused to take any responsibility for the harbour based on their initial decision. Simultaneously, ship brokers now refused insurance cover to shipping using Greystones. 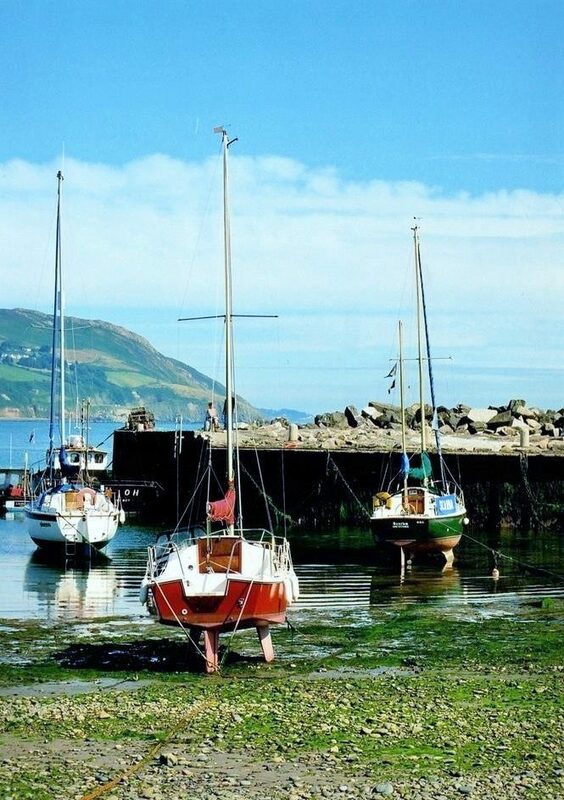 The days of Greystones being a commercial port used for import and export were over. 1912 February The end of the pier finally gave way during a storm and collapsed into the sea. Correspondence and meetings had continued through this time – and continued and continued. 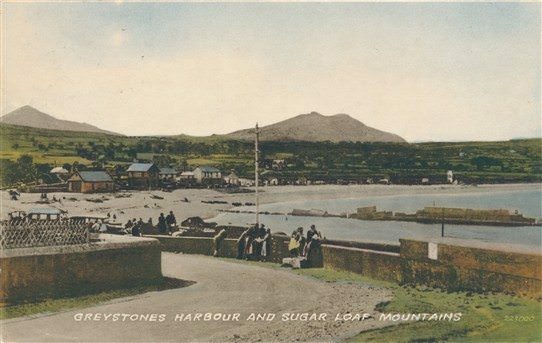 The Home Rule Crisis, the Great War, 1916 and the War of Independence followed by Civil War meant that attention was directed anywhere but Greystones Harbour. 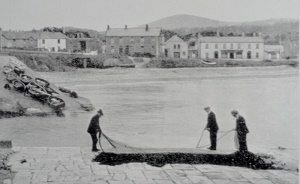 1920s After the foundation of the State, Greystones Harbour did not get any fresh support from the new government. 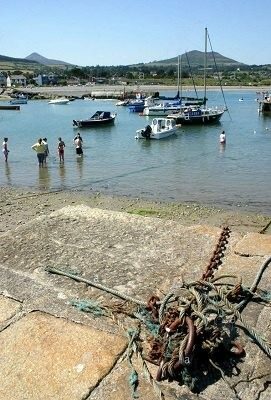 The harbour was used primarily for swimming and pleasure boating by this time. 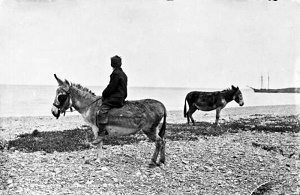 Commercial fishing activity was minimal – a far cry from the 1880s heyday when almost 200 fishermen put out from the beach. 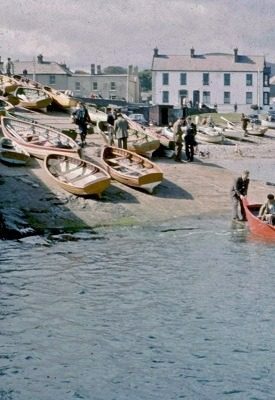 Boats for hire to day- trippers and visitors went some way to give fishermen a livelihood. Sea angling also drew numbers to the area. At some point in this decade, public toilets were built on the road around the dock – the first addition to the harbour in nearly thirty years. 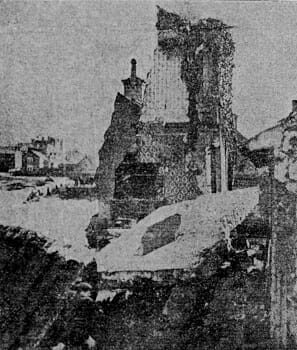 In 1928, during a storm, the homes on the Beach Road began to be destroyed despite years of efforts to reinforce the sea wall. This sea wall actually caused a back wash which led to the beach being eroded; this then undermined the wall and road and finally, over the next three winters, the homes. Persuaded by the parish priest, the residents relocated, largely to Redford and Blacklion, into new homes built using council loans. 1930s There were some contacts between local groups and the County Council pressing for improvements to the ruinous harbour. More meetings, no action. 1940s The Emergency years and, with everything rationed, no action on the harbour was ever likely. There were occasional harbour visits by Irish Naval Service motor launches – no surprise as one was commanded by harbourside resident George Thompson. 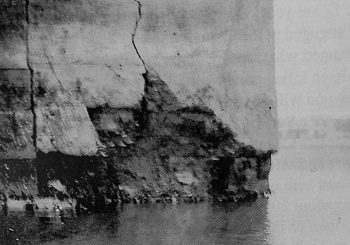 1956 By now, much of the deck on the pier had split and fallen, revealing the hollow interior. However, a new source of funding appeared. The recently reorganized Bord Fáilte Eireann had been tasked with improving Ireland’s tourism infrastructure. They contributed to repairing the pier deck as well as adding fishermen’s huts, public toilets and shelters. 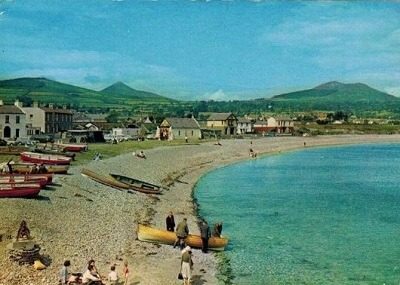 1966 Founded in the late 1950s, the Greystones Civic Association had among their key objectives improvements to the harbour area. An opportunity arose – the Kish lightship was to be replaced with a lighthouse. The first Kish Base would have been the foundation for the lighthouse. Built in Dun Laoghaire Harbour and designed to be sunk onto the Kish Bank, it developed cracks after storm damage and could not be used. 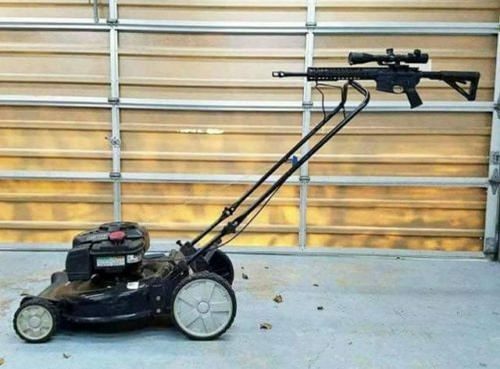 The G.C.A. 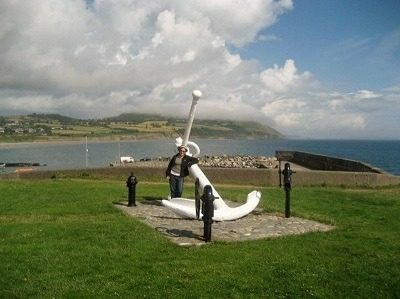 acquired it and planned to use it as part of a breakwater to extend the pier at Greystones. After a night of drama when it broke its tow and drifted to the South Beach, it was placed off the end of the pier. However, it settled further into the harbour than planned. Having now cracked open, it could not be moved. The intent had been to have it placed more in line with the existing pier. Nevertheless, for the first time, the harbour had some protection from northeasterly gales. Boulders filled the gap between the Kish Base and the old pierhead, and the roadway and base were poured with concrete. 1970s More work was coordinated by the G.C.A. A flagpole and historic anchors were installed around the harbour area. Dredging was done and a pipe installed though the old pier below tidal level to create a scouring action to keep the harbour from silting again – with limited results. 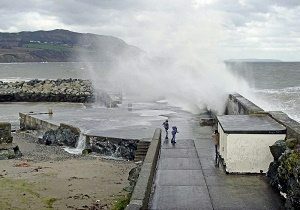 Locals will remember the ‘blow hole’ in the pier deck that got going during any easterly weather. The broken North Wall was always the back door through which silting occurred. You can view our Old Harbour archives right about here. 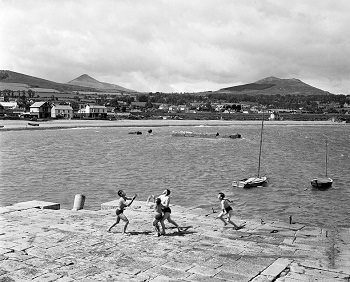 You can also grab some cool Pathe footage of the Greystones’ 1926 Swim Gala here and the 1928 Gala Swim here, and explore the life of one Greystones fisherman, Michael Fields, here.